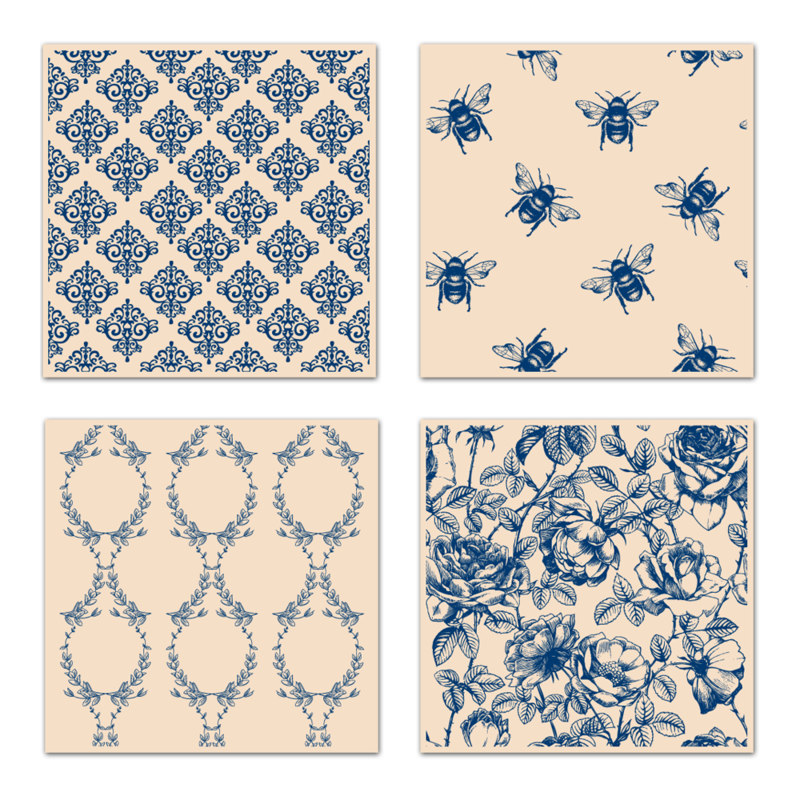 Formed as part of Tattered Lace’s brand new Peony Pavilion Collection, this set of four 6×6″ embossing folders are designed by Stephanie Weightman and feature wonderful designs including incredibly detailed Rococo style imagery, bumble bees, intertwined vines and gorgeous flower heads. These embossing folders are made using high quality, durable plastic – meaning it can be used over and over again. Like with Tattered Lace dies, these embossing folders are easily transportable and fit well in a handbag or tote, meaning you can craft where you want and when you want. Simply place your chosen cardstock in the folder, make your sandwich with your plates, feed the sandwich through the machine and use the finished product to embellish cards, stamping creations and a vast number of other papercraft projects. Want to add a little colour to your embossing? Brush ink in your chosen colour over your embossing design. Use a dark, rich colour to go bold or a soft, subtle colour to add a hint of personality to your projects. These embossing folders measure approx 15.8cm x 15.8cm each.